We will get right to the point on this one. The internet is the captivating source of today's world in all things. When someone is looking for something, they are probably starting on the internet. It's convenient and gives the consumer a preview prior to a visit or purchase. Over 70% of home buyers start their search online. 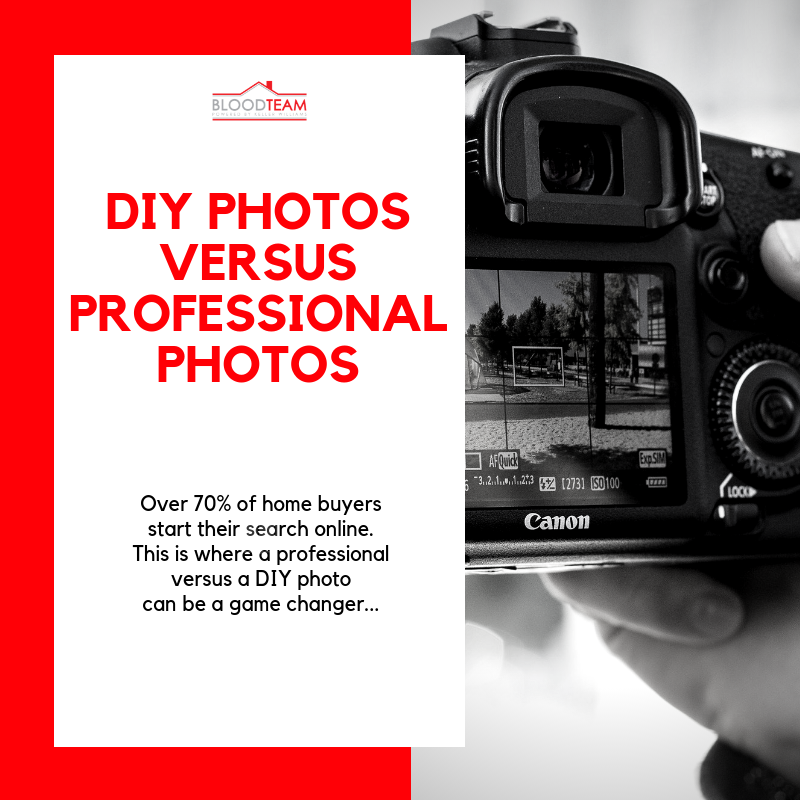 This is where a professional versus a DIY photo can be a game changer to the exposure your home gets on the world wide web. Let's give an off-topic example here. You want to bake those "famous chocolate chip cookies" you grew up on. Where you once pulled out the box in your grandmother's cupboard that was covered in flour to find the perfect chocolate chip cookie recipe is now multiplied in millions or more with a single google search. While not true for all, the honesty is that it's the world we live in today, it's a digital one. Online presence and an eye-catching image typically gets the first click. Now for an on-topic example. We strongly believe in professional photography when it comes to selling your home. There are instances on occasion where professional photography may not be necessary, however in the grand scheme of looking at all the properties we have listed throughout our years of service almost all have been photographed by a professional photographer, therefore increasing every one of our listings' online presence and a number of potential home buyers.